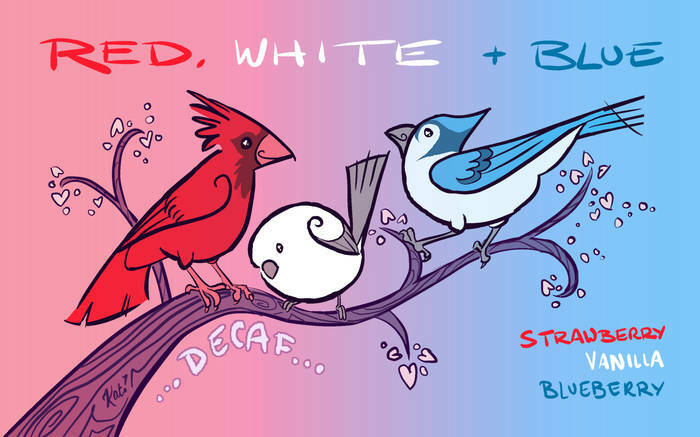 A berry delicious blend of decaf strawberry and decaf blueberry with hints of decaf vanilla. Perfect for late evening dinners, reading a book while watching the sunset, or waiting for holiday fireworks to start. Please mix this blend well before use. Cover art by Kat Cardy.